A fun new full size pattern in the workshop today to help you get an early start to next year’s North Pole decorations, a super big 8x8ft workshop for Santa Claus. 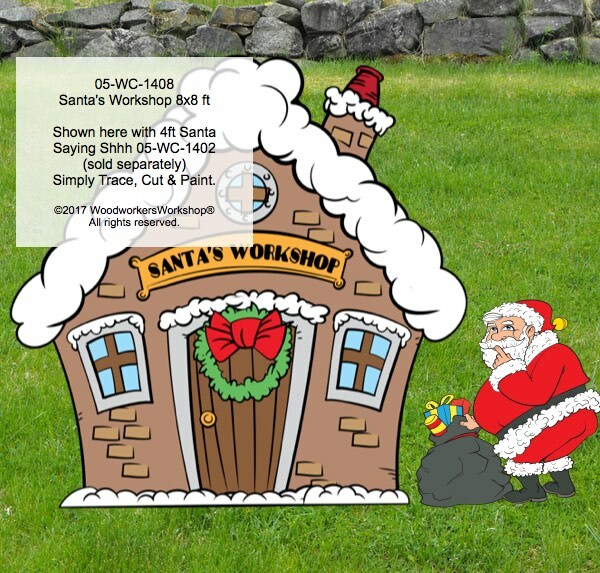 Sized to match some of our other recently added projects like Mr and Mrs Claus. Custom sizing will be available. As well as smaller versions of this project will be in stock ready for shipping.